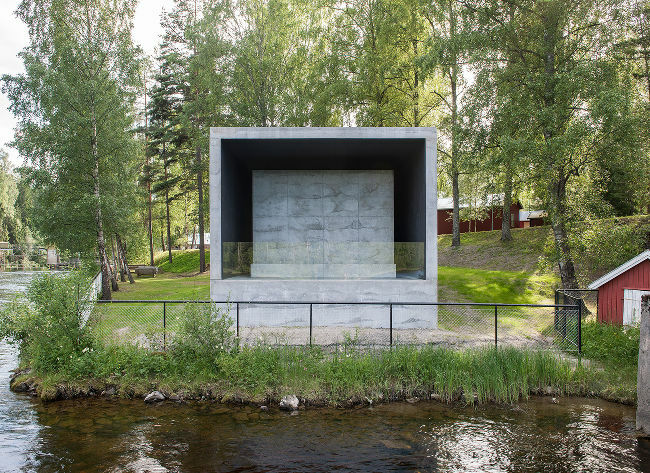 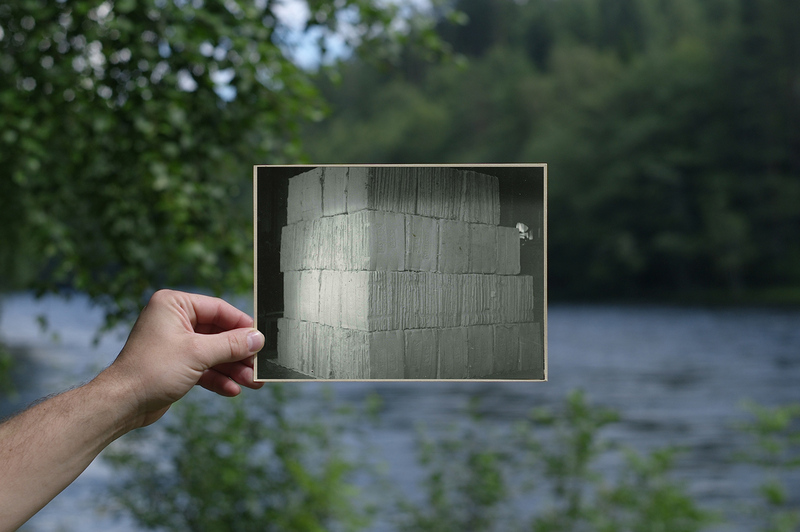 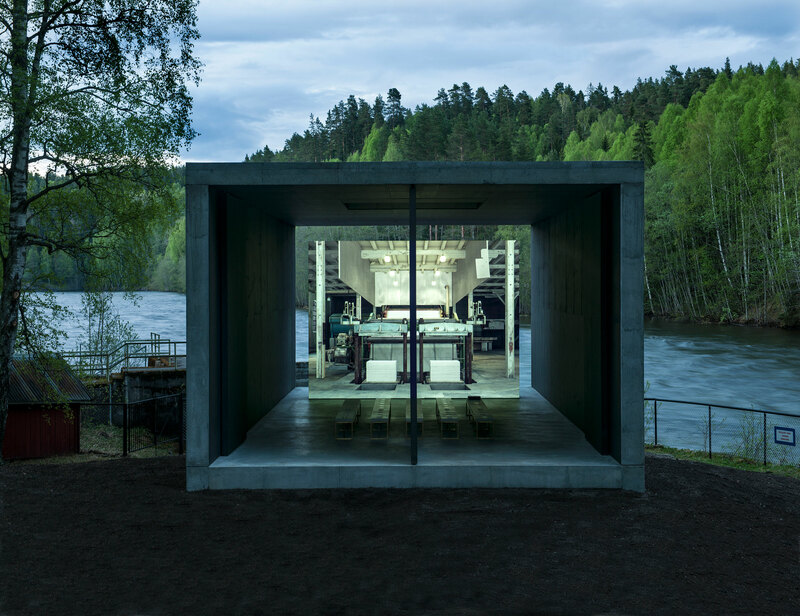 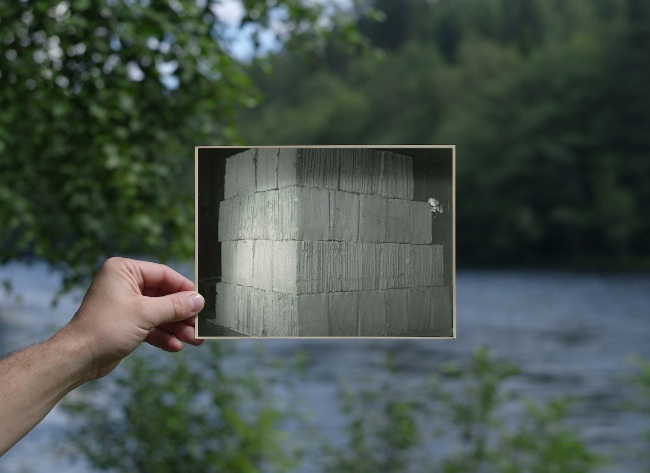 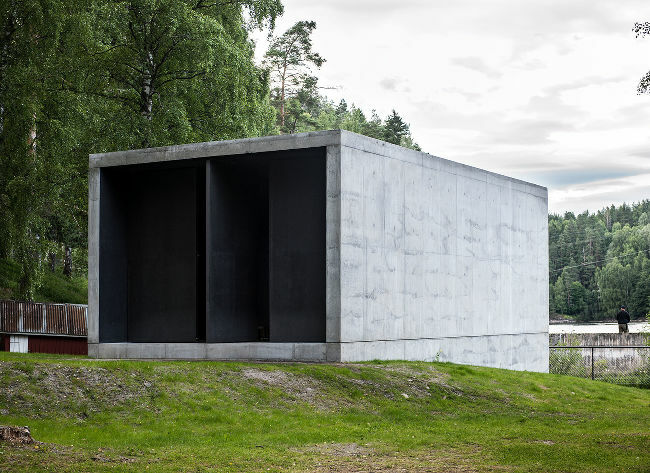 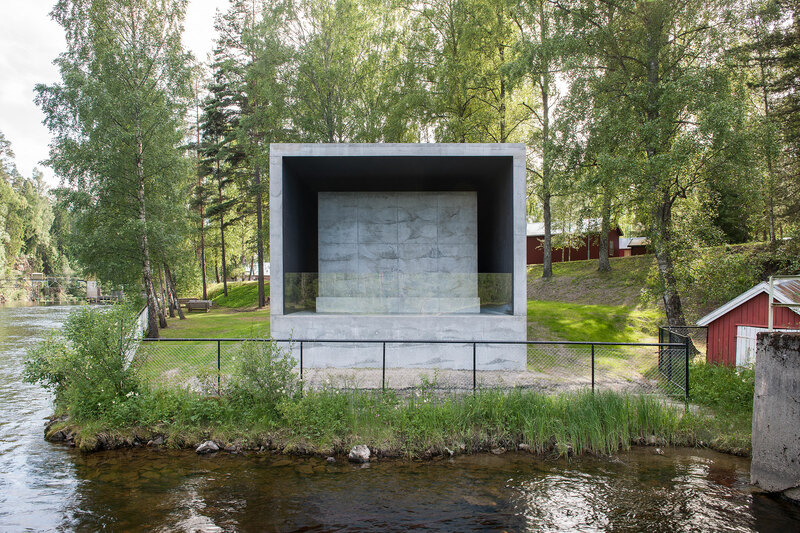 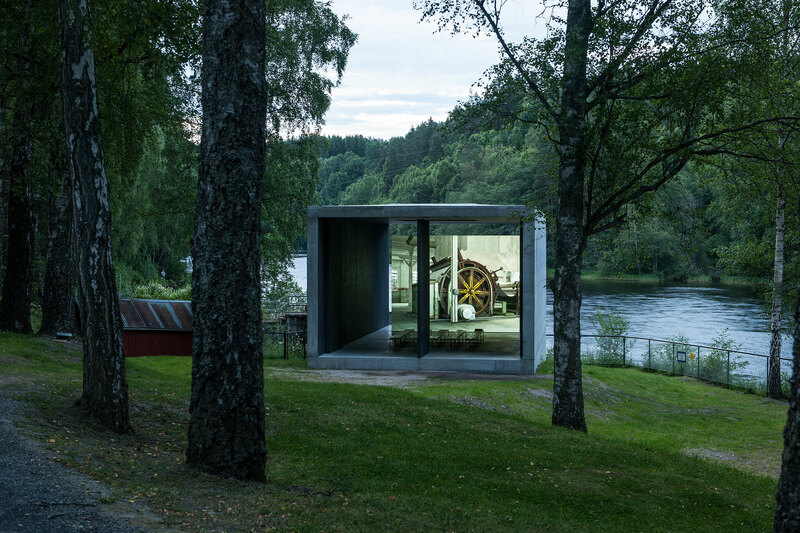 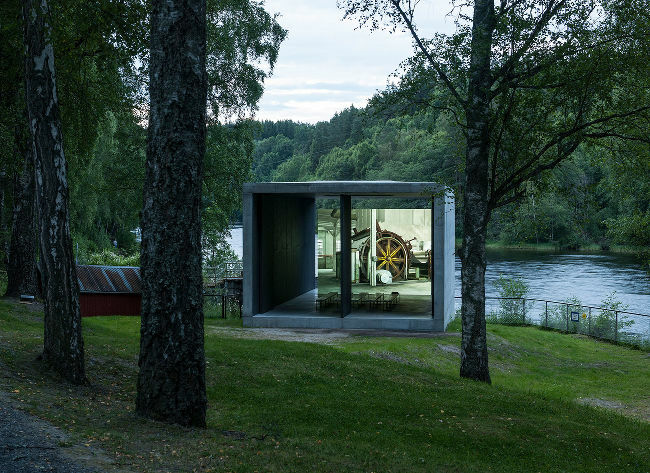 Pulp Press (Kistefos) 2013 is situated in the grounds of the Kistefos-Museet Sculpture Park, the site of a 19th century paper mill in Jevnaker, an hour north of Oslo, Norway. 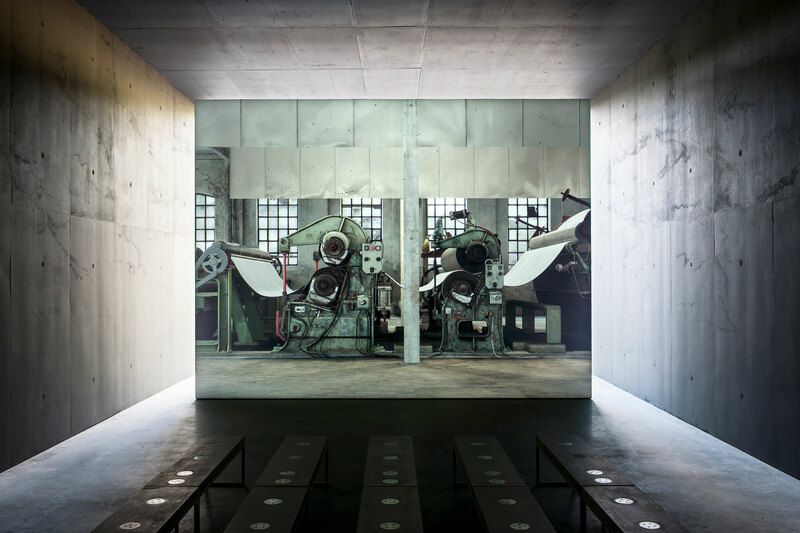 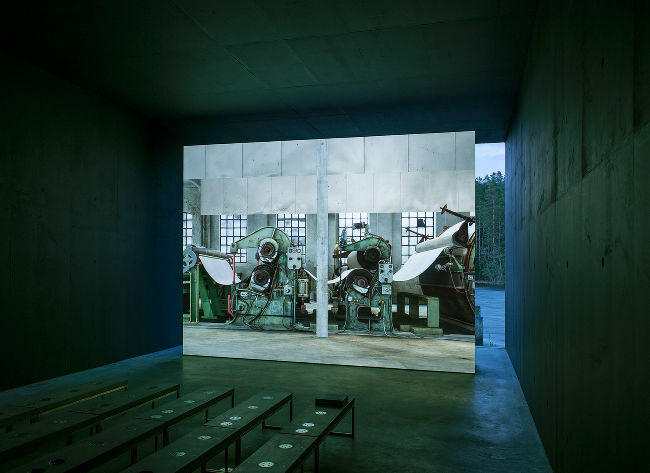 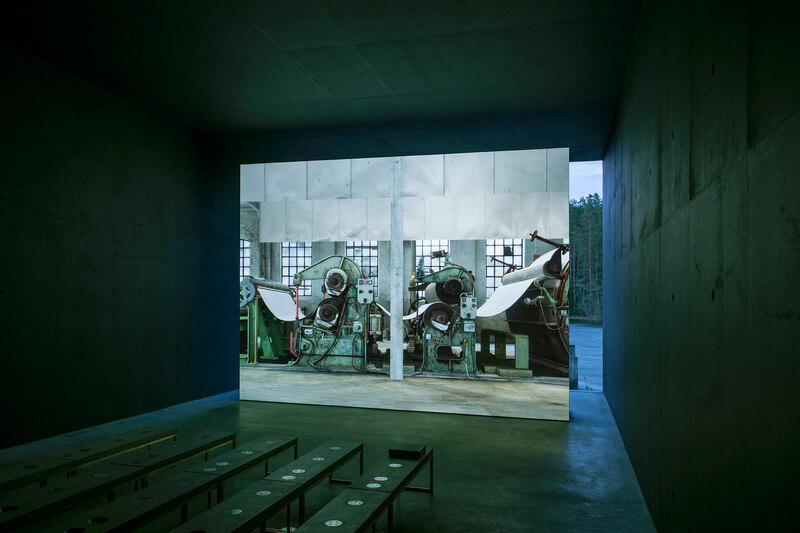 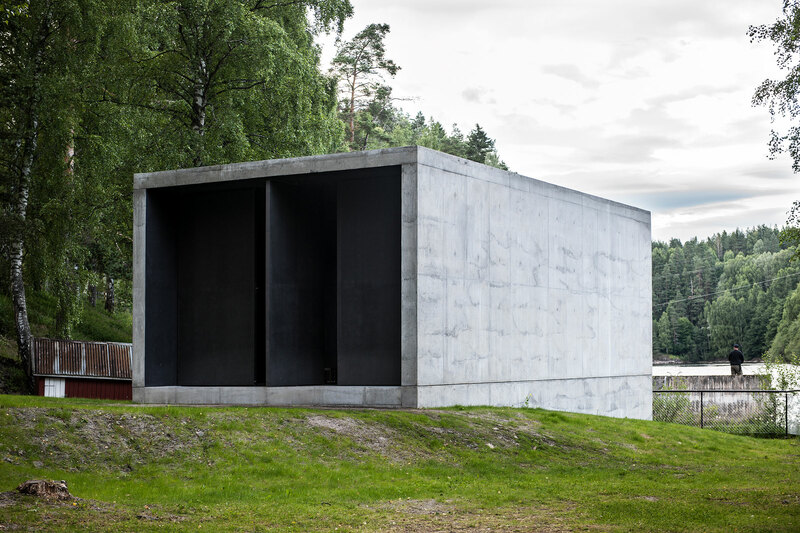 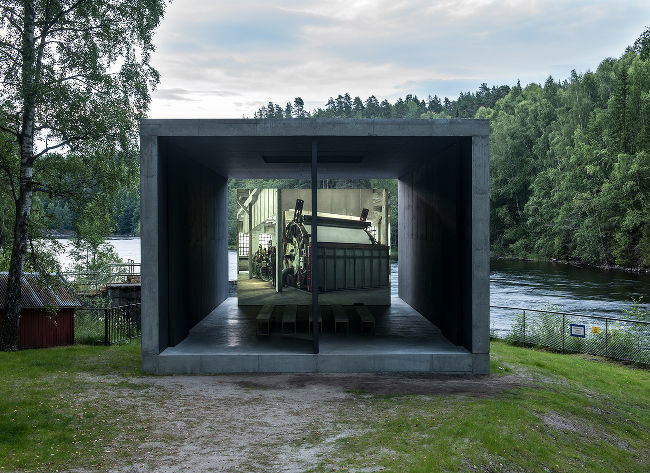 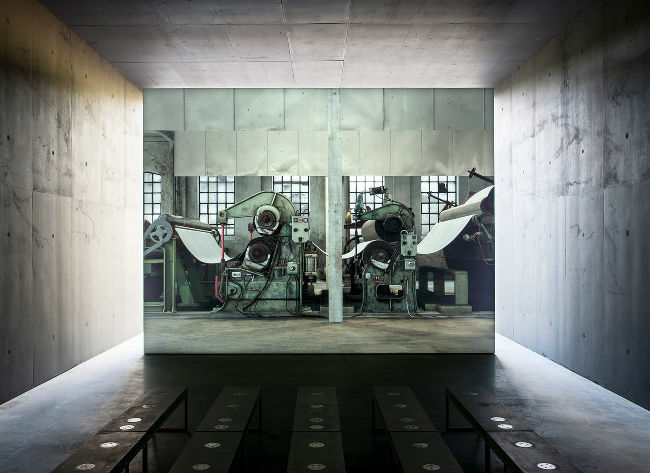 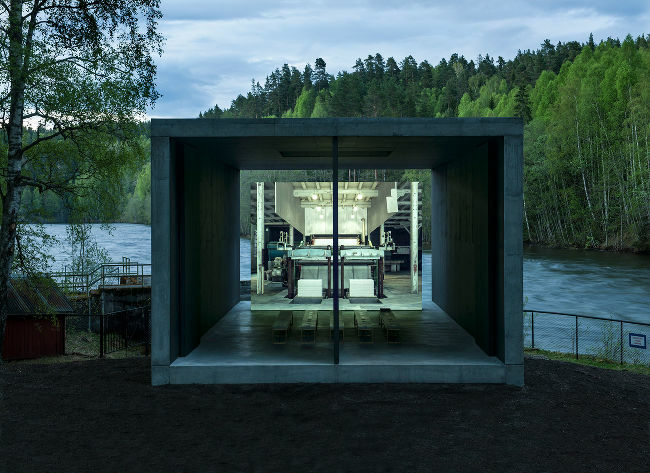 The work consists of a large projected moving simulation of the original paper press, housed in a 100m2 poured concrete pavilion. 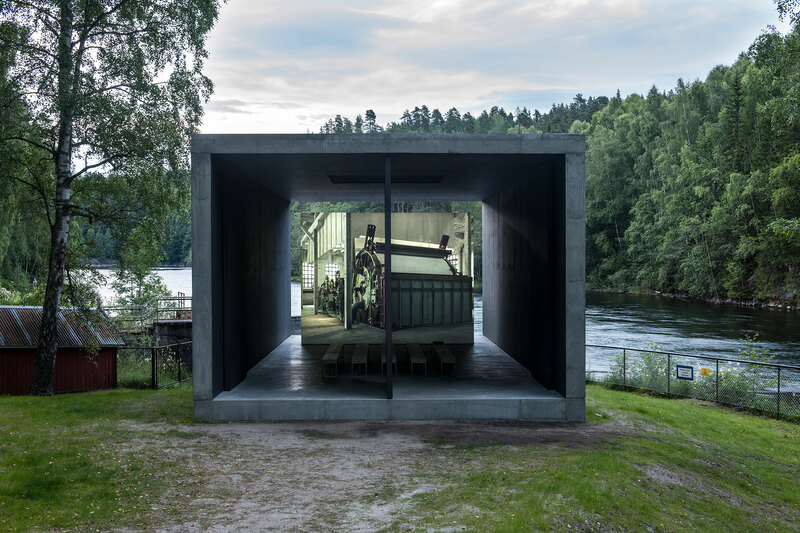 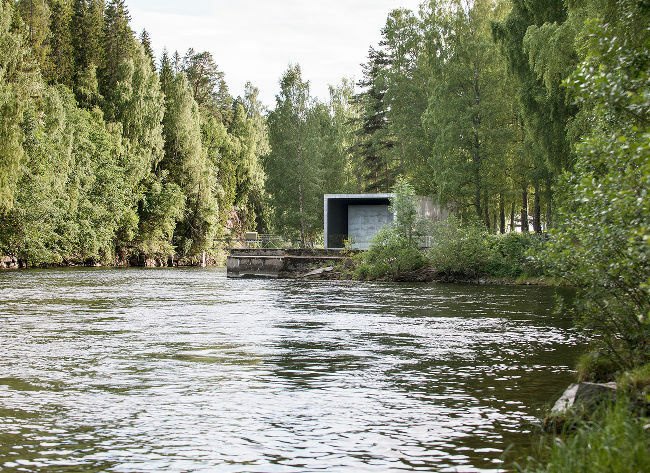 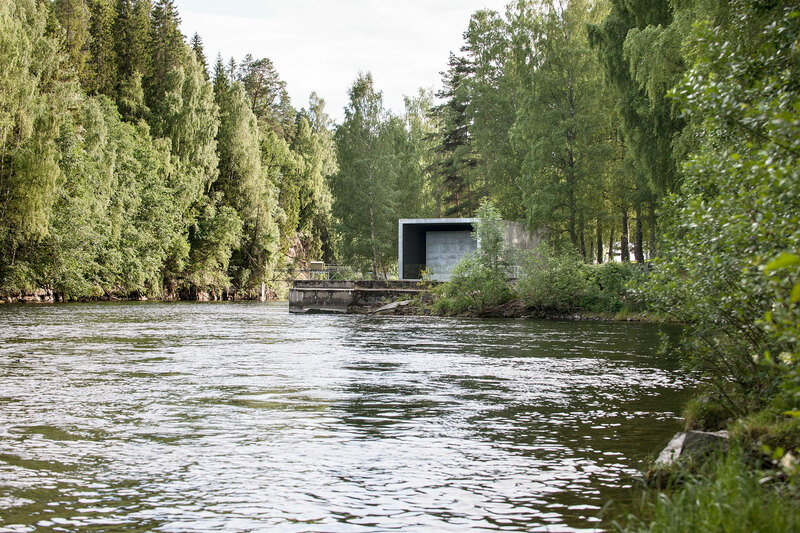 The pavilion sits along the edge of the river Rands which powers the work by hydro-electrics – the same river which gave rise to the original factory in 1889. 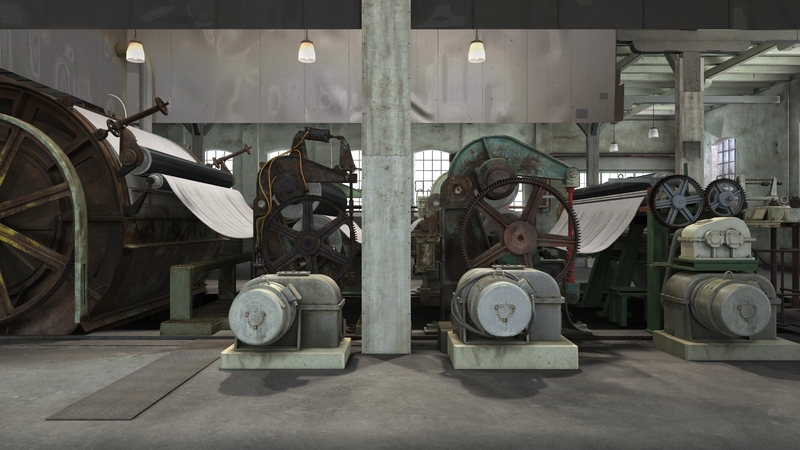 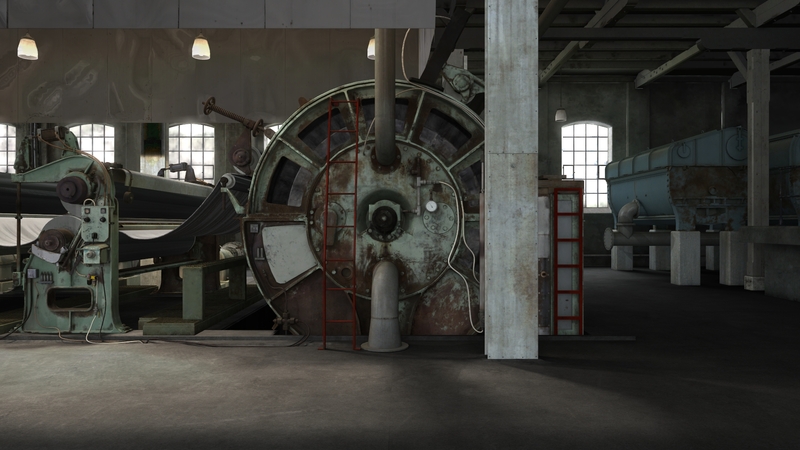 Pulp Press (Kistefos) 2013 is a hyper-realistic portrait of the original machine, (which was decommissioned in 1950), painstakingly remade as a virtual form. 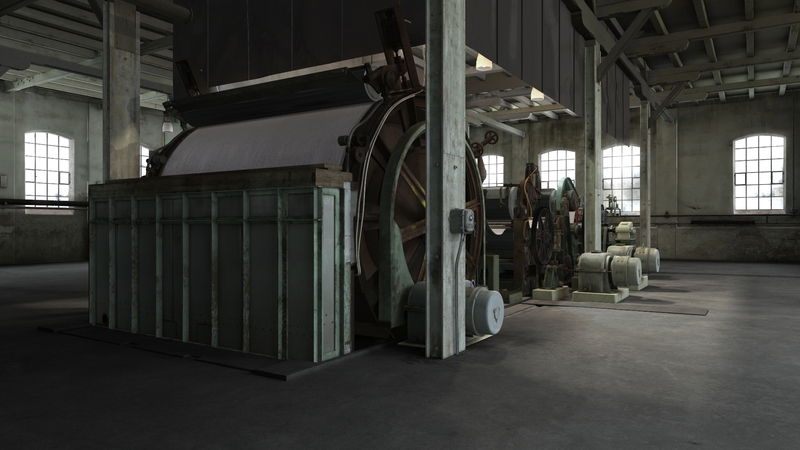 Importantly, it has been renovated within the virtual to function once more. 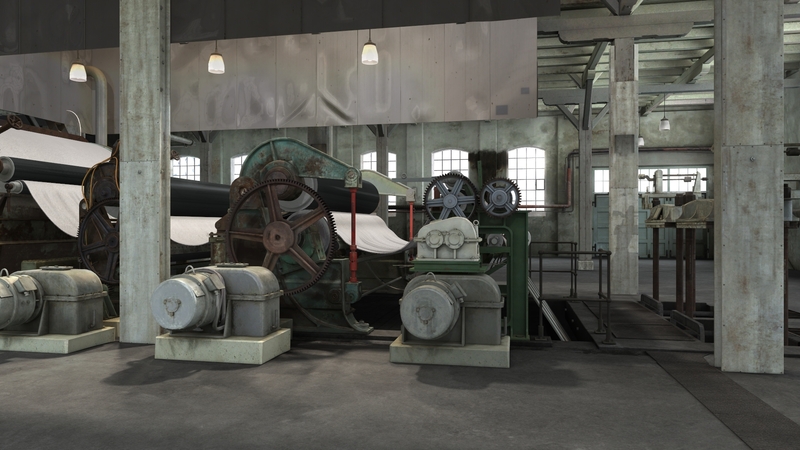 Pipes have been replaced, valves sourced, missing components researched by the production team for over a year and recreated in simulacra. 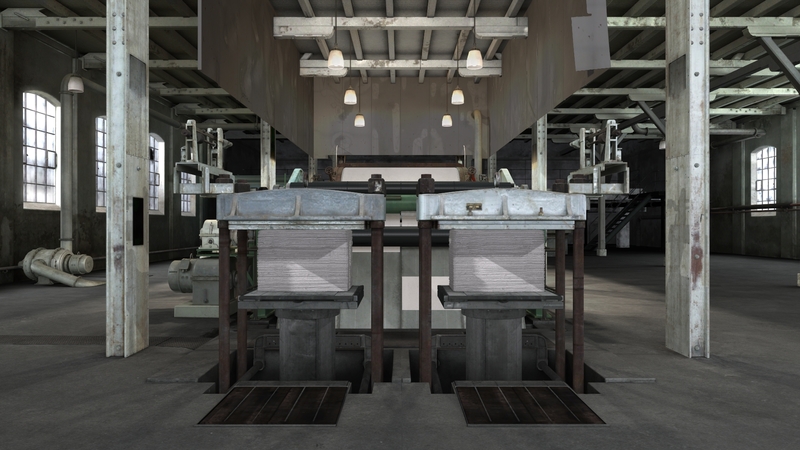 The press now generates bales of virtual paper pulp, each structurally unique and preserved as data in an ever-expanding store of hard drives housed sculpturally within the work.